The Premier Planters are perfect for flowers, plants and small trees. A heavy-duty galvanized and painted steel liner effectively contains planting containers. The fully welded, all-steel construction with thermally bonded polyester powder-coated finish assures long-lasting beauty. The state of the art finishing process used on the planter combines the application of an 'Electrocoat Zinc Rich Primer' with a durable polyester powder-coat top layer to ensure every crevice and joint is completely sealed, providing full protection against	corrosion and weathering. 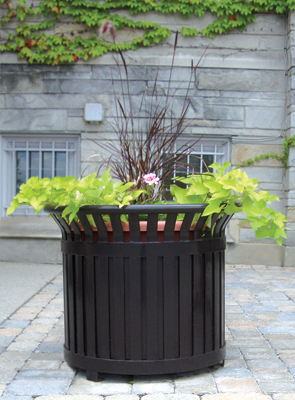 Planters are finished in either a gloss or textured polyester powder-coat finish.